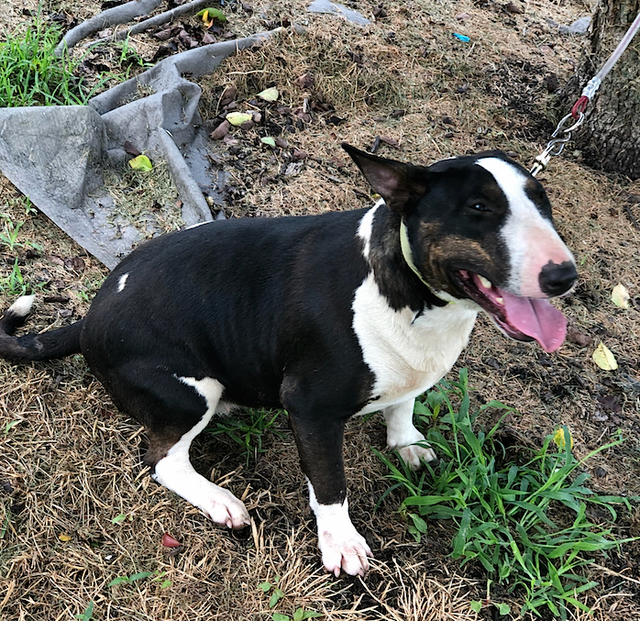 Our black and white female bull terrier, Josie, is missing. She is wearing a bright green collar. Last seen in Glens Fork area (Hwy 768 East). Call 270-250-9699 if located. Greatly appreciate a call or text if you see her or can catch her!